The standard deviation is the measure of the variance in a set of numbers compared to the mean or average of the numbers. 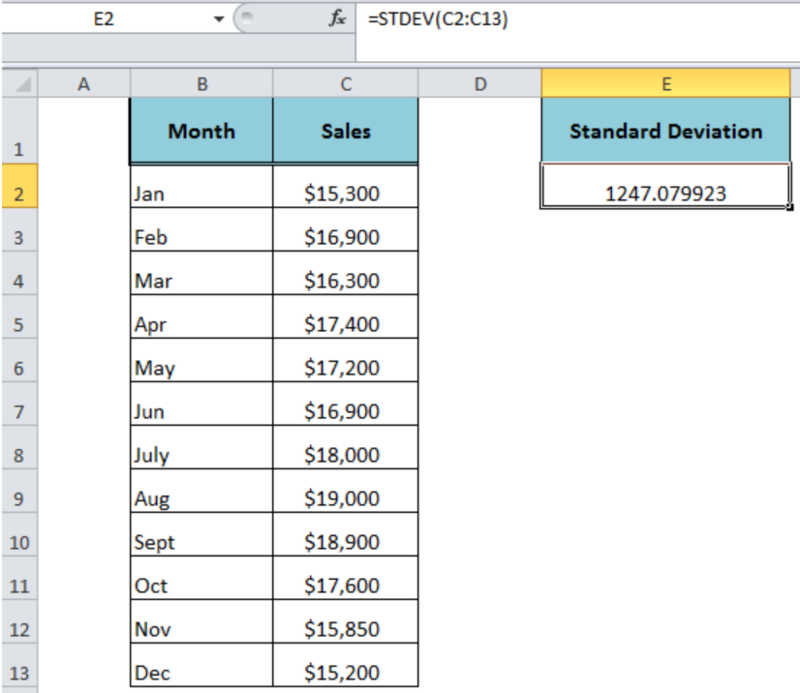 The Excel STDEV function calculates the standard deviation of a set of numbers that represents a sample. This function can have arguments between 1 and 255 maximum. number2,… – These are optional and additional arguments of sample numbers between 2 and 255. 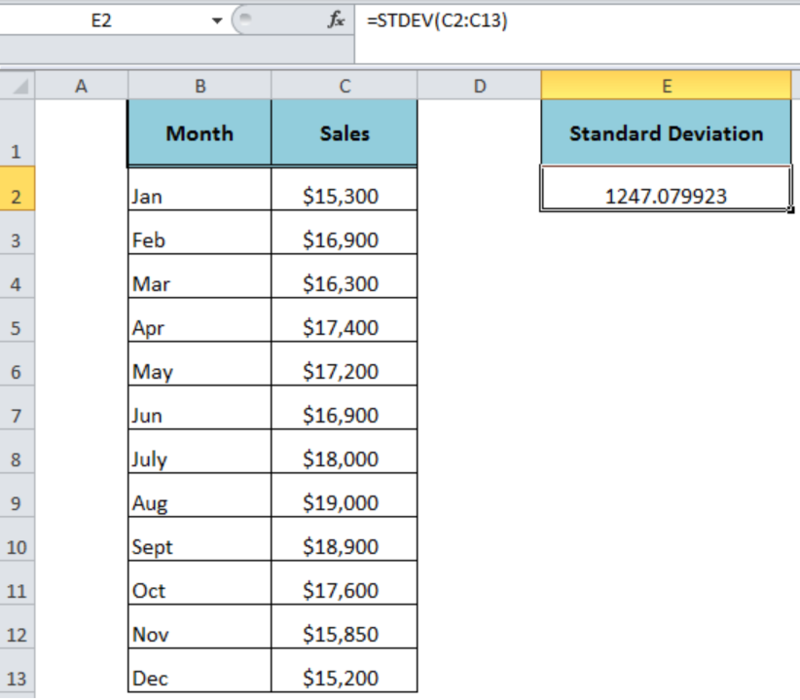 The Excel STDEV function supports arguments that can be entered as numbers, arrays, ranges or cell references that may contain numeric, text, logical values, text representations of numbers and empty cells. It evaluates only numeric values in the calculation of standard deviation, ignoring the text, logical values (TRUE and FALSE), text representations of numbers and empty cells in ranges, arrays or cell references of a sample set of values. However, the logical and text representations of numbers supplied directly as the argument in function are evaluated as numbers. 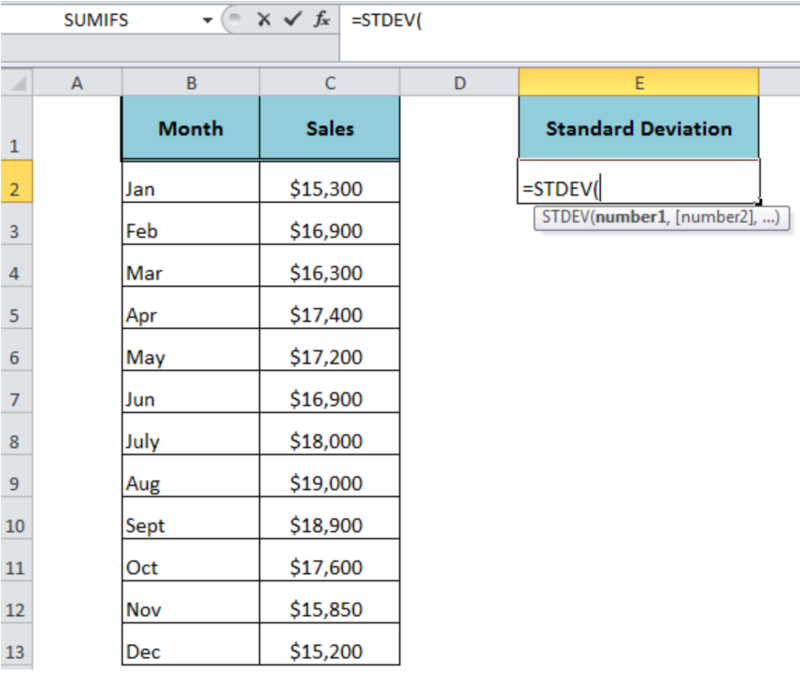 The Excel STDEV function has been replaced by the STDEV.S function in Excel 2010 and later versions. It is now available for compatibility with Excel 2007 and earlier. It generates #DIV/0! 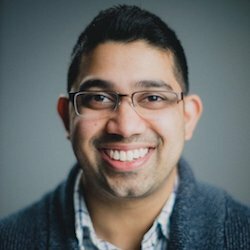 error if all supplied arguments contain text values. If a text value is entered directly as an argument, it generates #VALUE! error. Hi, I'm trying to produce a bar chart with standard deviation error bars using the values I've calculated. Whenever I insert the chart the axis scale is way off and when I try to change the error bar values to my stdev values it says my formula is incorrect. 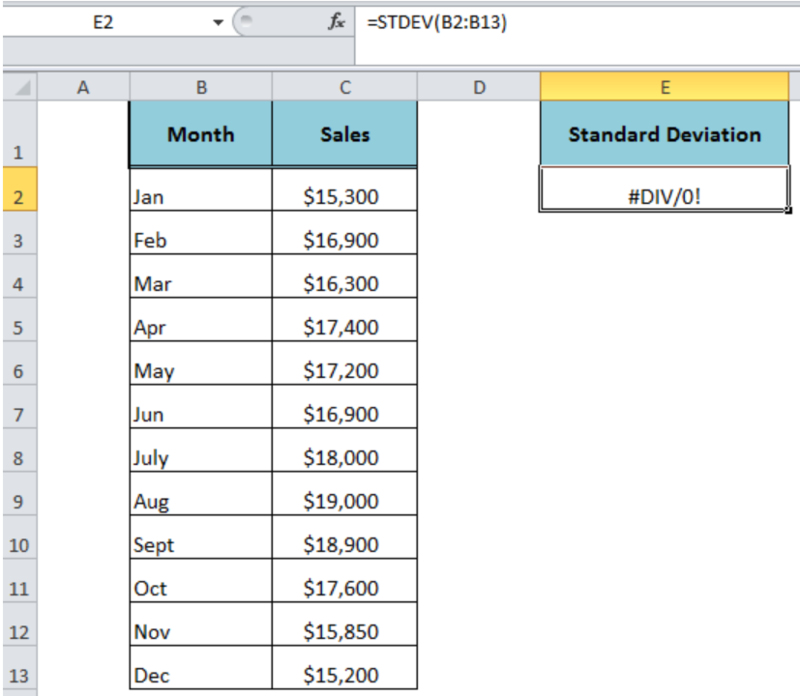 Using a general formula that can be dragged down, determine standard deviation of returns in column Q, for each ticker. You will need to be creative in how you write a conditional format here. You will start with =Stdev.